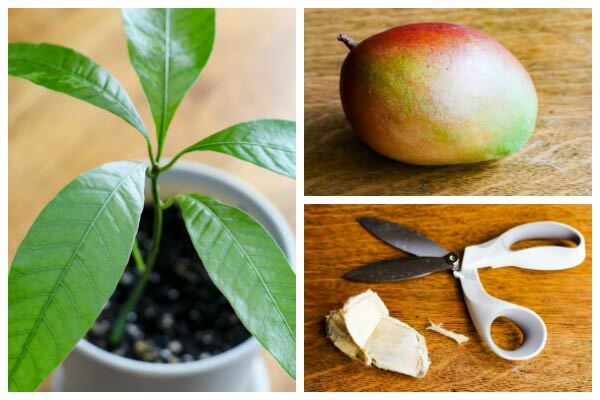 This easy method shows how to grow a mango plant from seed using a mango from the grocery store. It’s a fool-proof way to ensure the seed is viable and will grow into a nice houseplant. 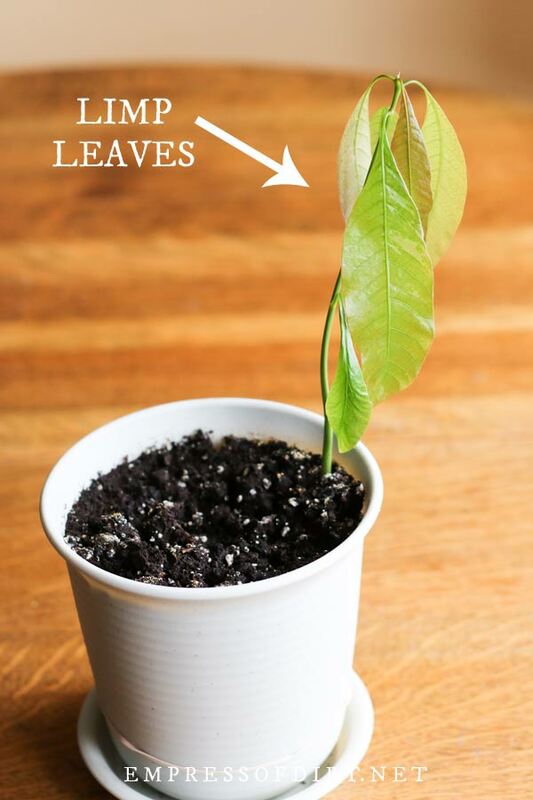 You can also grow an avocado from seed using the same method. Did you know the husk inside mango fruit contains a seed? And it’s a nice big seed! And that’s what we sow to grow a new mango plant. If you live in a cold climate, without outdoor tropical growing conditions, you can still grow mangos indoors as houseplants, beginning with a mango fruit. 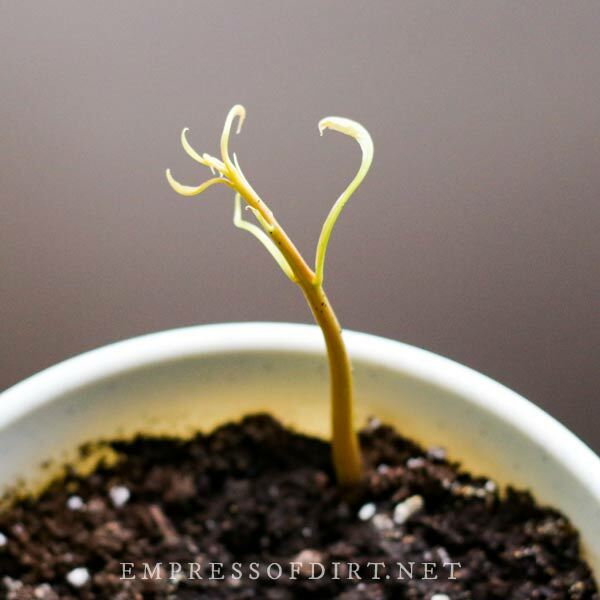 I’ll show you a simple way to prepare the seed, make it sprout, and grow it as a houseplant. These are tropical plants, so you’ll want a sunny, warm place in your home to provide the best growing conditions. So, what makes this method easy? 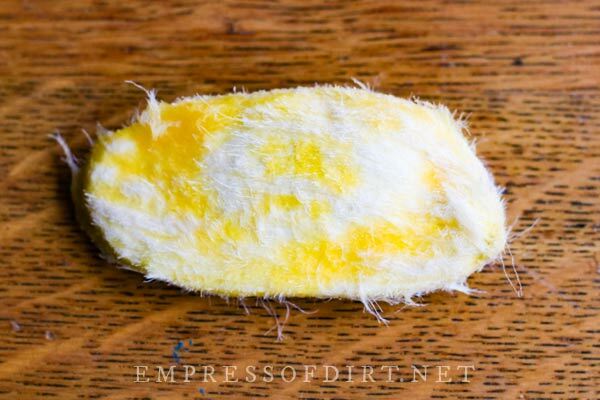 By starting the mango seed in damp paper towel (see below), we can first determine if the seed is viable (will grow). 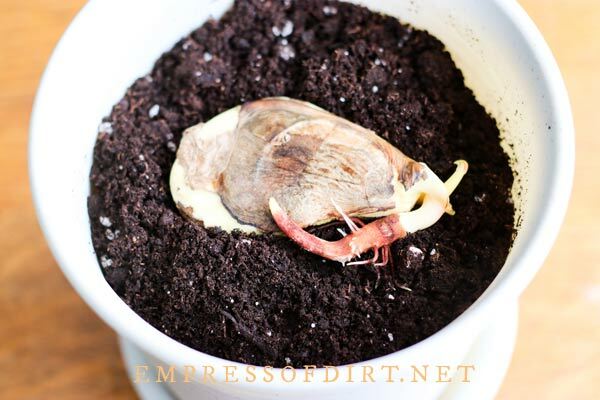 You could also plant it directly in damp potting mix, but that means waiting to see if there is growth (for several weeks). The easy method reveals which seeds are good ones so we don’t waste time on the duds. Probably not, unless you manage to provide exceptional, tropical-like growing conditions for many years that eventually trigger flowering and fruiting. Grafted mango trees can produce fruit. If you want much better odds of eventually getting fruit, buy a grafted mango tree. Can you grow a mango tree inside? 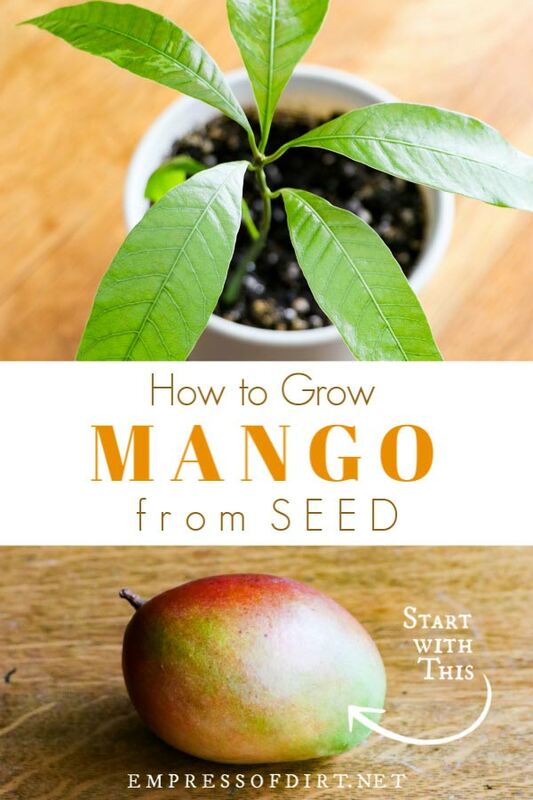 How long does it take to grow a mango seed? 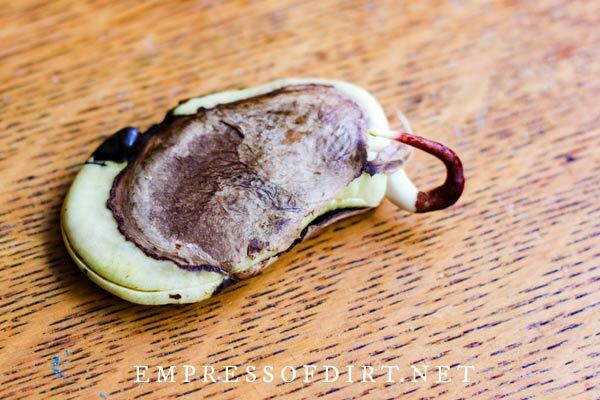 How do you germinate a mango seed quickly? How big will an indoor mango tree grow? Will my indoor mango tree grow fruit? Want to download or print these instructions? Let’s walk through how to grow a mango plant from a grocery store mango, and I’ll show you how long each step takes. Every mango has a seed inside. It’s protected by that thick, husk-like thing you set aside when preparing the fruit for eating. 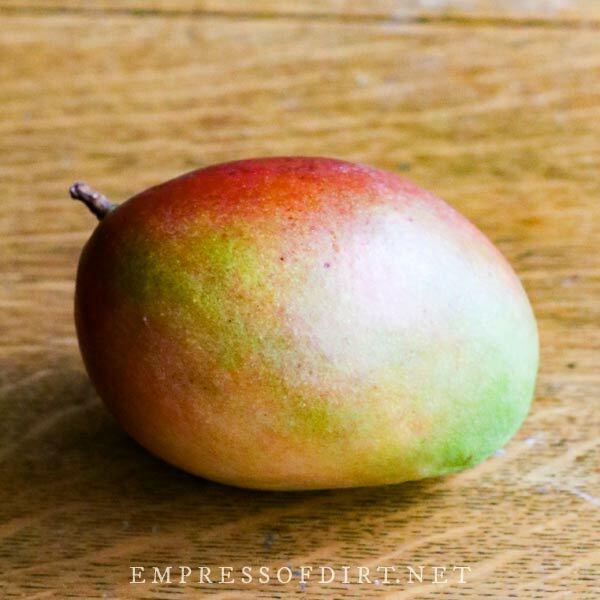 You have to start with a ripe mango because otherwise the seed within the husk may not be mature enough to grow into a plant. Use the edible fruit (yum!) and set aside the husk. They tend to have stringy pieces of fruit attached to them and we’ll take care of that in the next step. 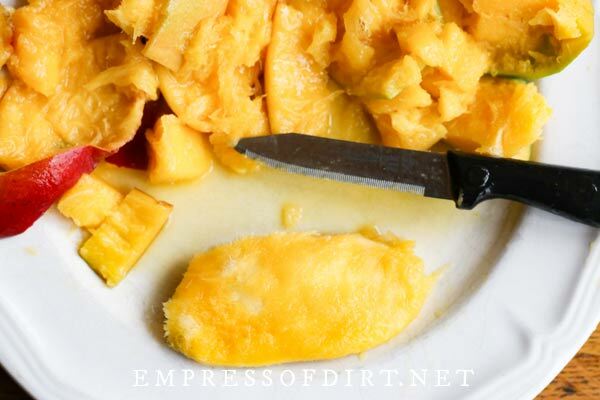 Next you want to gently scrub off the pulp/stringy bits of mango fruit from the husk. The purpose of this step is simply to help the husk dry faster and make it easier to cut open. You can hold the husk under tap water and use a soft scrub brush to push the pulp off. Or, very carefully scrape it off with a small knife, always aiming away from yourself! When the husk is fairly pulp-free, dry it off with a towel and set it somewhere to further dry for a day or two (not much more). After 2 days, the mango seed husk is dry enough to cut open. This is the part that amazed me the first time I did it. I have eaten a lot of mangos over the years, and I had no idea there was a great big seed in there! 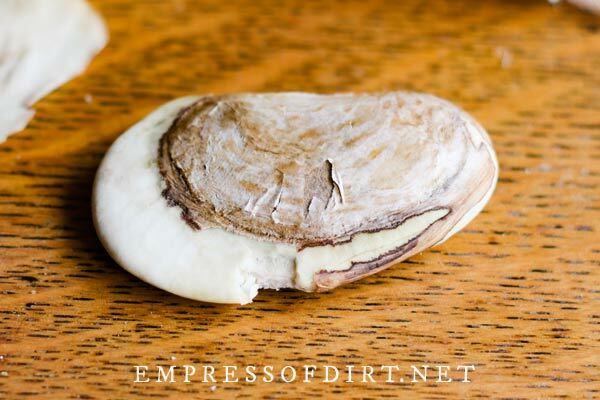 You want to cut the edges of the husk so you can pry it open without damaging the seed inside. I use good scissors that can cut thick things like leather (not your fabric or paper scissors or you’ll wreck them) and trim away the edges. You could also put the husk in a vice and use a fine wood saw to trim off the edges. Then, peel back the husk and see what’s inside. This is a mango seed found within the husk of the fruit. Pretty cool! It’s like some sort of giant bean seed. And no two mango seeds look the same. 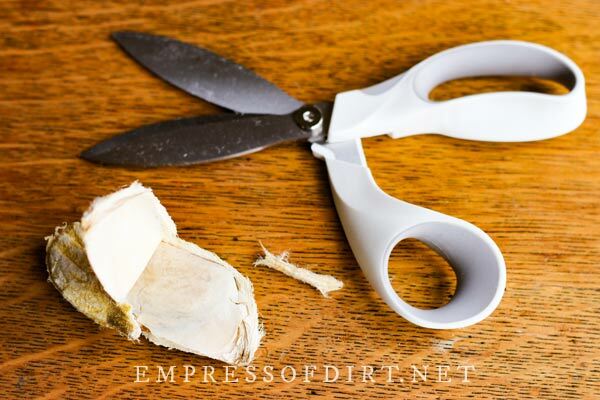 Gently remove the seed from the husk and take off any loose paper-like layers around it but don’t force or peel anything. Some mangos produce polyembryonic seeds, but the ones shown here are singles (monoembryonic). Plants from polyembryonic seeds produce fruit true to the parent (like grafted plants do). Our grocery stores have very little variety so I’ve only ever seen two types of mango seeds here and they are always singles. If the seed appears shrivelled or rotten, start again with another mango. The mango seed is wrapped in moist towel and placed in a plastic bag. 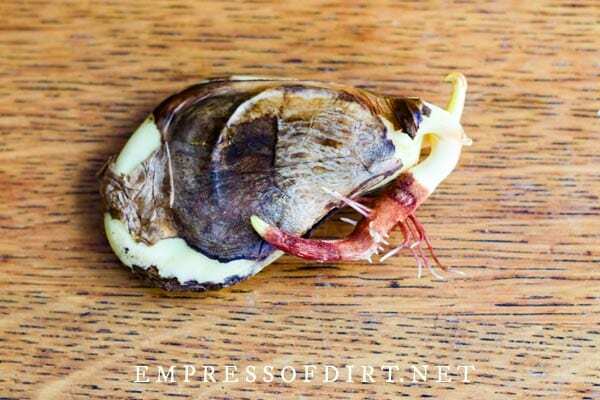 I use this method for sprouting all sorts of the things including avocado seeds and ginger. I like this method because it shows me I have a viable seed before I go to the trouble of planting it in soil. There is no need to buy plastic bags for this step. Just use any plastic bags or wrap you have. Dampen a cloth (can be a washcloth) or paper towel in warm water so it’s moist but not dripping. 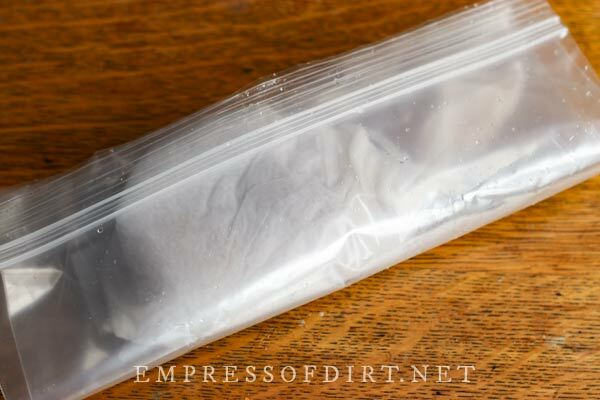 Wrap your mango seed with the damp cloth and place it in the plastic bag. If you are sprouting several seeds, put one on the damp towel, fold over, add another, fold over and so on. I keep them apart with a layer of towel to prevent any roots from growing together or becoming entangled. Place the bag in a dark kitchen cupboard. You can also put it in a warm spot, which is always good to speed up germination, but be sure the towel does not dry out. Set a timer on your phone to check on it every 3 days. Take photos each time to keep track of changes. After 3 weeks, the seed is sprouting. Every few days, open up the paper towel and check for signs of sprouting. Dampen the paper towel again if needed. The mango seed pictured above (after 3-weeks) is growing a red sprout! I wait until any new growth is 2 to 3-inches long before planting in potting mix. After 5 weeks, there is enough new growth to plant the seed in potting mix. At this point you can see how the red sprout is also growing roots, and there is another sprout on top. This took 5 weeks to grow. That new sprout on top (right) is pale in colour because it is growing without light. It will turn green when exposed to sunlight. Now it’s time to plant the seed in potting mix. At week five (or when there is a few inches of new growth), we plant the seed in potting mix. Some of the new growth will become roots and the other parts are shoots, but it’s very hard to tell what’s-what at this stage. Because of this, it’s fine to plant the seed flat in the pot (the way it is in the photo, above). The plant will sort itself out just fine. Your pot should be a few inches wider than the seed and have room for several inches of root growth. The pot I used is 8-inches deep total, but 6-inches would be fine too. Also, be sure the pot has drainage holes and a drip saucer to avoid water-logging the plant. Fill the pot with potting mix (suitable for houseplants) leaving two inches below lip of pot. Water the potting mix thoroughly, let it settle, top it up to same level (2-inches below lip) and set sprouted seed on top. Cover seed in an inch of potting mix, water it and top it up. You want to end up with about an inch of space between top of potting mix and lip of the pot for easy watering without overflowing. At six weeks, a shoot has emerged from the potting mix and leaves are forming. Mangos are tropical plants and enjoy warmth and humidity. Place your plant in a sunny location but not in direct, hot sun where it could dry out. Keep soil moist but not damp. The mango plant in the photo (above, 6-weeks old) decided to send its shoot up at the side of the pot. That’s fine! It’s approximately 4-inches tall and nice and healthy. During the early growth stage, the leaves may be limp. It’s normal. Limp leaves! I’ve had this several times and I’ve seen others mention it so I’m confident it’s normal. As the mango grows its first leaves, they may look limp, as if the plant is over— or under—watered. Unless you have been a bit off with your watering and/or have stressed the plant, this limp stage is normal. Keep providing proper care and it will perk up. And don’t be tempted to change your water routine if you know it’s fine. After 9 weeks, the leaves have perked up and the plant is approximately 9-inches tall. At this point the mango plant is approximately 9-weeks old (from the day we put it in paper towel) and it’s nine inches tall. The five main leaves formed early (week 3) and no additional leaves have appeared since then. It’s fairly cool in our home (just below 20°C / 68°F), so growth will be slower than you’d get in a warmer space with better humidity. Ideally, you will mimic tropical conditions in your home, or as close to it as you can manage. Warmth | Mangos grow best in ambient temperatures ranging between 21º to 24ºC (70º to 75ºF). Extremes | Mango trees die at temperature below .5ºC (33ºF) but can tolerate up to 48ºC (118ºF). Humidity | 50-60% until/if flowers form (then lower it). Light | Needs heat more than intense light; do not allow the plant to dry out. Summer | Place outdoors in dappled sun for maximum warmth. Fall to Spring | Keep indoors. Fertilizer | I cannot find any research on specific fertilizer needs for indoor mangos. This is what is recommended for outdoor ones: Fertilizer may be a 1:1:1 or 1:2:2 N-P-K ratio formulation, such as 16-16-16 or 10-20-20 N-P-K. Yes, indeed. 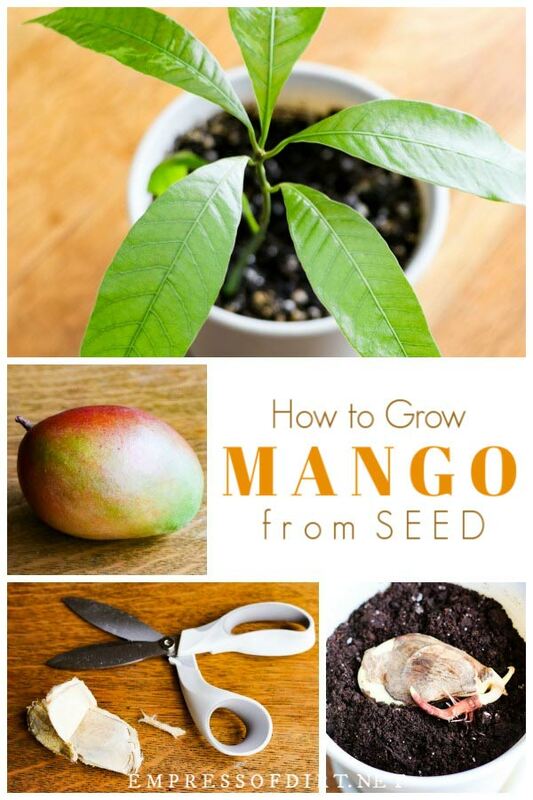 You can start a mango tree from the seed inside the fruit or buy a grafted tree, which is much more likely to grow fruit, although it does take several years and the right growing conditions. With the method listed above, it took 9 weeks from the day I started the germination process to having a 9-inch tall plant. Most seeds germinate fastest within certain temperature ranges but it varies for each plant. This is usually a bit warmer than the plant’s comfort zone. Because mango plants grow best in when the ambient temperature is between 21º to 24ºC (70º to 75ºF), it’s a fair assumption that the seed would sprout fastest at temperatures just above that. Outdoor mango trees growing in tropical climates can reach 35 meters tall if not pruned. Growing indoors, both because conditions are not optimal and the plant is restricted to a container, will limit growth. I realize that didn’t answer the question with a specific measurement, but that’s because I’m not sure. I have seen a few indoor ones that appear to be about 6-feet tall. The more tropical the conditions, the bigger they will get. It’s highly unlikely. If you want fruit, start with a grafted mango tree (from a nursery that specializes in them). These are intended for growing fruit, although the quantity will be small. Provide optimum growing conditions including intense heat without drying out the soil. Grafted mango trees are reported to take 3-5 years to flower and fruit. Some say mango seedlings (like we’re germinating here) can grow into fruit-producing trees after 5-8 years, but I have not yet found anyone to confirm this. The fruit, if you do get some, will vary depending on the source. 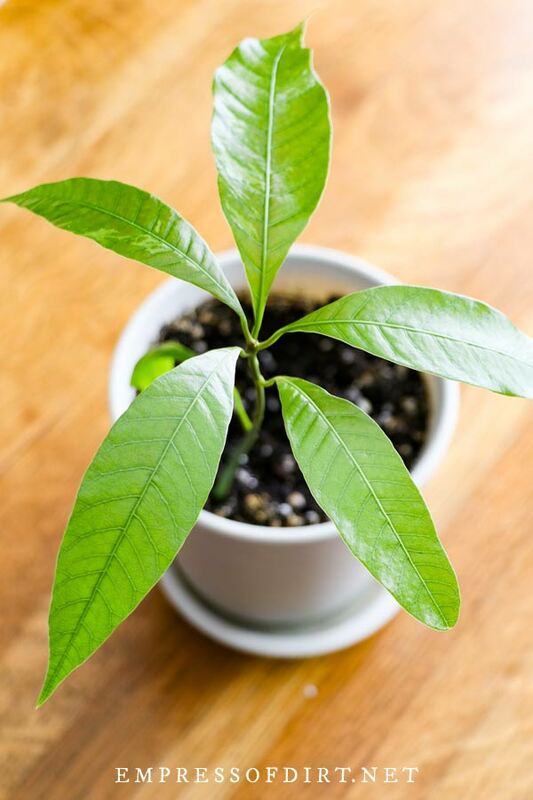 Mango seedlings cannot produce fruit true to the parent plant (because they are hybrids). But grafted mango plants can (because they are clones). But really, it’s such a cool achievement to grow the plant to produce fruit, either way I’d be happy. That was AWESOME and I am defiantly going to try. i have learnt about mangoes,all though i used to check weather old .parsnip seed was viable using damp paper towels. Yes, exact same idea: a damp towel is excellent for checking any seed or root viability. Cheers! I read a few places, thankfully before I tried opening one, that the sap inside the husk can be irritating to the skin for some people. I figured better safe than sorry and wore gloves. Fortunately, there’s no sap in the husk. It’s in the stem, leaves, and skin. Glad you’ve had success growing mangos!